2018 was a monumental year for hip-hop, seeing releases from artists such as Earl Sweatshirt, Cardi B, XXXTentacion, Denzel Curry, and Nipsey Hussle. The question is: How will 2019’s releases stack up to 2018’s? Here we break down our top 5 most anticipated hip-hop albums to keep on your release radar. 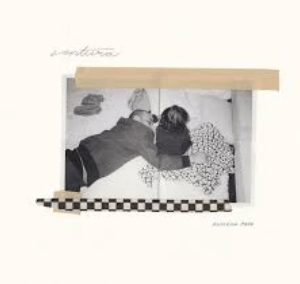 Grammy-winning artist and Aftermath signee Anderson .Paak is set to drop his 7th studio album, Ventura, in 2019. Anderson is a California native, hailing from Oxnard. The album will have features from André 3000, Smokey Robinson, and late rapper Nate Dogg. Anderson’s most recent album, Oxnard (2018), featured guest verses from hip hop greats such as J. Cole, Kendrick Lamar, Dr. Dre, Snoop Dogg, and Q-Tip. Anderson won the Grammy for Best Rap Performance at the 2018 Grammys for the single ‘Bubblin’. Anderson has a very unique style of music, blending classic hip-hop with R&B and pop. His albums Malibu and Yes Lawd! saw the more R&B side of Anderson. Topics discussed varied from reflecting on the past in tracks such as ‘The Season | Carry Me’ to love and lust in tracks such as ‘Silicon Valley’. However, Oxnard saw a new side of Anderson. He maintained the same R&B feeling that was seen in Malibu and Yes Lawd! but incorporated more hip hop. This may be attributed to Dr. Dre being the executive producer. Topics discussed on Oxnard varied from current events in tracks such as ‘6 Summers’ to coping with his increasing fame in ‘Tints’. Considering that Ventura was recorded shortly after Oxnard, it is likely that we will see the more raw, confident Anderson seen on Oxnard make an appearance on Ventura. Anderson has dropped two singles off of Ventura, ‘King James’ and ‘Make it Better (feat. Smokey Robinson)’. Ventura will be released on April 12th, 2019 with executive producer Dr. Dre. 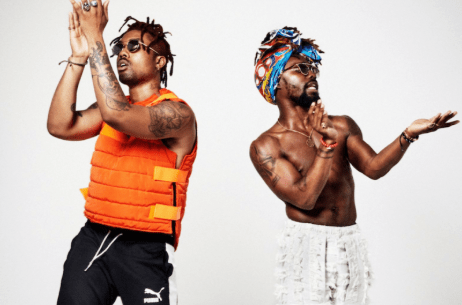 Dreamville signees, EARTHGANG, are set to drop their third studio album, Mirrorland, in 2019. EARTHGANG consists of two people: Doctur Dot and Johnny Venus. Both members of EARTHGANG are from Atlanta, Georgia. EARTHGANG was signed to Dreamville Records in 2017 along with other members of their co-founded collective, Spillage Village. From there, EARTHGANG released three EPs: Rags, Robots, and Royalty. EARTHGANG has a unique style of music that incorporates southern hip-hop as well as funk and soul music. Their style is most commonly compared to another famous Georgia duo, OutKast. Both members are notable for what they bring to the group. Venus is notable for his singing strength and chorus capability, while Doc is notable for his fast flows and varied verses. EARTHGANG performed a single “Up” from Mirrorland on the Berlin-based platform and YouTube channel, COLORS. This track and the accompanying performance from EARTHGANG accurately displays the dynamic of the duo. Venus begins the track with a staccato flow ended with sustained notes, increasing in pitch each line. He then dives into his melodic and rhythmic verse, accompanied by his lively body language. The tail end of the verse is then picked up by Doc, who begins his verse in a similar staccato fashion as Venus. Doc continues to fire full force into a fast verse with an intricate rhyme scheme and sustained flow. EARTHGANG’s music is full of personality and this performance displays just how vivid their personalities are. EARTHGANG has released two singles from Mirrorland: ‘Stuck (feat. Arin Ray)’ and ‘Proud of U (feat. Young Thug)’. Mirrorland will be released later in 2019. 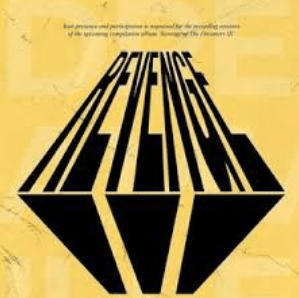 Revenge of the Dreamers 3 is a major compilation album by Dreamville Records that is set to drop in 2019. The recording of the album took place in January 2019 over the course of 10 days. The recording session was invitation only and brought over 100 artists and producers. Some notable artists being Akon, Isaiah Rashad, Ludacris, Ski Mask the Slump God, T.I., Rick Ross, and the Dreamville roster. Notable producers being included are DJ Khaled, ChaseTheMoney, Mike Will Made It, OG Parker, Swizz Beatz, Tay Keith, and 9th Wonder. After the session was finished and the artists parted ways, many took to social media to describe the experience. On Twitter, J. Cole admits he “Shed tears” while writing one of his verses and addresses the monumentality of the experience, stating “Revenge sessions going down in history”. Artist J.I.D, Dreamville signee, describes his experience recording in an interview with XXL Magazine as an “all respect, all love” collaboration that was “the most creative” he had been. The creative process that Cole and Dreamville Records undertook is one of a kind and sets a precedent for collaboration albums. Revenge of the Dreamers 3 will drop in April 2019 with executive producer J. Cole. Chicago native and Grammy-winning artist Chance the Rapper is set to drop his debut album in 2019. 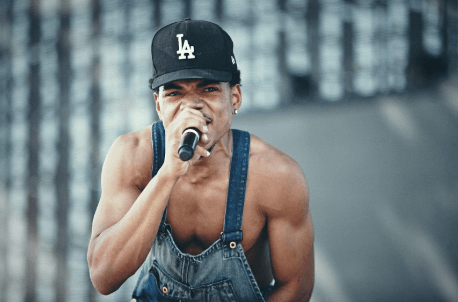 Chance has appeared on albums and collaborated with notable artists such as Childish Gambino, Justin Bieber, Lil Wayne, Kanye West, and Saba. Following up his critically successful mixtapes 10 Day, Acid Rap, and Coloring Book, Chance is finally ready to drop his first studio album. Chance has had a very unique rise to fame. Through the releases of his three mixtapes, he was never signed to a record label. All of his music is available free online has made his profit solely off of merchandise sales and touring. Chance’s third mixtape, Coloring Book, was the first album to win a Grammy solely off of streaming. Chance also has a very unique style that draws from his experience singing gospel in church. His voice is soulful and lyrics meaningful, incorporating themes of love, self-identity, and family. In 2015, before the release of Coloring Book, Chance had his first daughter, Kensli Bennett. In early 2019 he married the mother of his daughter, Kirsten Corley. These developments in Chance’s life have made their way into his music, as heard on the single ‘Work Out’. In this track, Chance discusses how his life has changed and, although he misses his old life, how there is nothing he would change about his new life. Chance delivers verses describing how difficult life may be and the struggles he has endured, but with the realization that it will all work out. Chance is returning to music with all new outlooks on life and a new style, which will be reflected on his new album. Chance has dropped multiple singles off of the anticipated album, such as ‘My Own Thing’, ‘The Man Who Has Everything’, ‘I Might Need Security’, ‘Work Out’, ‘Wala Cam’, and ‘65th & Ingleside’. Chance the Rapper’s 2019 debut album will drop in July. It is speculated that Lil Uzi Vert will release his second studio album, Eternal Atake, in 2019. Lil Uzi Vert is one of the more prominent artists to have emerged from the SoundCloud rap genre. Uzi hails from Philadelphia and names Marilyn Manson as his largest inspiration. His music combines rapid delivery with intriguing, rock-influenced, melodies, drawing comparisons to the style of Lil Wayne. Eternal Atake will follow up Uzi’s first studio album: Luv is Rage 2. This project included smash hits ‘XO TOUR Llif3’, ‘The Way Life Goes’, and ‘Sauce it Up’, which all peaked in the top 15 of the US Rap charts. 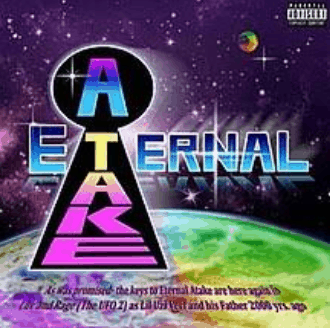 Eternal Atake was first teased in July 2018. Issues involving Atlantic records delaying the album’s release coupled with the struggles of fame caused Uzi to announce his retirement from music in early 2019. Along with the announcement of his retirement, Uzi claimed that he deleted all of his new music. This left Uzi fans and the hip hop community heartbroken. No one was certain if Uzi would return to music. However, in March 2019, Uzi dropped a new single ‘Free Uzi’. The song uses the same beat as G Herbo’s 2012 track, ‘Gangway’. This caused ‘Free Uzi’ to be pulled from streaming services over licensing issues. Most predict that this drop indicates Uzi’s return to music. Uzi’s return to music indicates personal growth. It is speculated that Uzi is leaving behind his former label to sign a management deal with Roc Nation, Jay-Z’s label. It is likely that Eternal Atake will see a new Uzi, free from the previous struggles that he faced while signed to Atlantic. Eternal Atake has not been confirmed, but it is speculated that it will drop in 2019.